An on-camera flash is an indispensible accessory for many photographers; it provides additional light when conditions become too dark to handhold your camera comfortably, allows you to achieve more balanced exposures in daylight conditions, permits freezing of fast-moving subjects and can also be used to control or trigger other flash light sources. Additionally, a flash can be used as a highly effective creative tool to establish an aesthetic that elevates your imagery when lighting conditions are considered less than stellar. The benefits of an external on-camera flash far outweigh those provided by a built-in camera flash, while the only drawback is keeping an additional piece of equipment. The term on-camera flash simply refers to a type of strobe light (flash) that can connect directly with your camera. While it is referred to as “on-camera” this does not require the flash to be physically mounted on your camera. On-camera flashes can, and often are, used off-camera. This differs from other strobe-light sources, such as studio pack strobes and monolights in that these types of strobes are not meant to be physically connected to your camera (except under rare and unusual circumstances involving convoluted methods of adaptation). Additionally, on-camera flashes usually have a self-contained power supply, although external power sources can sometimes be used to improve performance or battery life. On-camera external flash also refers to the type of external flash that can be used on your camera, compared to a built-in flash that is integrated into many cameras. An on-camera external flash performs better than a built-in flash in almost every regard with the one exception that it is not built into your camera. The ability to take the flash off your camera results in a significantly greater number of lighting options; far more than simply providing a blast of flat light to the scene to facilitate an adequate exposure. It is often not desirable to have your flash pointed squarely at the scene at hand; more often than not you will want to bounce the flash light off other surfaces and point in other directions to control the look of your flash. When using an in-camera flash, you are forced to use the flash at the given angle from which it extends. Most built-in flashes are also located near the camera lens, which can often result in the red-eye effect when photographing subjects in dimly lit conditions. Red-eye occurs because pupils dilate in dim light, the built-in flash is aligned with the lens's optical axis, its beam enters the eye and reflects back at the camera from the retina at the rear of the eye, which is quite red. Being able to use an on-camera flash source off-camera, from a different angle, will help to eliminate the red-eye effect in your photographs of people. Before delving into the automatic technology that is contained within most contemporary flashes, it is best to understand how to manually control and grasp a flash’s power. This is directly related to having an understanding of exposure ratios—how shutter speeds and apertures affect and balance each other—even though auto-exposure metering is available and often utilized for determining the best exposure settings. "Guide numbers are the standardized, numerical way of determining the power of a flash, with a higher guide number representing a more powerful flash..."
Guide numbers are the standardized, numerical way of determining the power of a flash, with a higher guide number representing a more powerful flash. A guide number is the product of multiplying the f/stop of an exposure with a given distance, at ISO 100; or GN = f/number x distance. This calculation directly refers to the Inverse Square Law, which states that a specified physical intensity of light is inversely proportional to the square of the distance from the source of the physical intensity. For example, a given intensity of light will be 1/4th the intensity at twice the distance from the source, 1/9th the intensity at three times the distance, 1/16th the intensity at four times the distance, and so on. Since f/numbers fractionally relate to the intensity of an exposure, they perfectly fit into the guide number equation as a variable for determining flash exposure. Simplifying this a bit, a realistic example would be if you have a flash with a guide number of 100, photographing a subject 25’ away will require the use of f/4 for proper exposure. Likewise, a subject 50’ away requires f/2 or a subject 5’ away requires approximately f/22. Since guide numbers are typically expressed at ISO 100, you can further determine your exposure if using a higher sensitivity, such as ISO 800, as a subject 50’ away would require an aperture of about f/5.6. Another variable to consider is that all of these values assume you are using your flash at full power; often, you can control the flash output of your strobe in increments to either save on battery life, provide faster recycle times, or to control your exposure more when working in closer situations. This flash power variable can easily be compensated for in the guide number equation by reducing one of the other variables. For instance, if using a flash with a guide number of 100 (at ISO 100) at 1/4 power and photographing a subject at 25’ away, you will now require an aperture of f/2 (which is 1/4 the original example’s given aperture). It should also be noted that in most instances, controlling your exposure in-camera when working with flash should only be done by modifying your aperture. This is because the precise duration of a flash is substantially less than most shutter speeds; if you compensate for your exposure by using a faster shutter speed you will not see any change in exposure because the flash is essentially performing the role of the shutter. Additionally, unless using a leaf shutter (a shutter contained within the lens, featured on many medium and large format lenses), it is likely your camera’s focal plane shutter will not be capable of producing a fully-exposed image at shutter speeds shorter than about 1/250th of a second (depending on your camera). The fastest recommended speed at which your camera can record an image when using flash is called the "sync speed." If you make an exposure faster than the sync speed while using flash, the shutter will likely not have enough time to clear the image path of the sensor or film while the scene is fully illuminated by the flash. This will result in blocked or blacked-out areas of the image (the part of the shutter that couldn't clear the path in time). Conversely, you can make exposures longer than the maximum sync speed and still produce a fully-exposed image; however, depending on this length, other consequences or benefits may occur. While flash is often used to illuminate a scene entirely, either because of low-light conditions or because you are using a small aperture to gain additional depth of field, flash can also be used in combination with ambient exposure to provide additional creative benefits. Relating back to sync speed, if you're using a shutter speed that is similar to what would be required of an ambient, regular exposure, in conjunction with flash, you will be mixing both ambient and flash light. This technique is called dragging the shutter and can be utilized to highlight specific objects or subjects within a scene. An example would be photographing a field or bush at dusk; while the foreground and surrounding areas are very dark, there is more light available in the sky regions of the scene. A way of rendering this type of scene would be to use your flash to illuminate the nearer regions, and then letting your shutter stay open longer to capture the ambient light of the sky. This will provide exposure to adequately render both the darker and brighter portions of the image within a single frame. Additionally, this technique works well for freezing movement in darker light; by using the flash to freeze and illuminate the moving subject, and then keeping your shutter open to properly expose the background. Similar in concept, but using the opposite protocol, is fill flash. Fill flash is a technique in which you use your strobe to essentially fill in areas of the scene, either because they are darker than surrounding areas or to intentionally darken the background to better illuminate a nearer subject. This technique can be used during daylight or in well-lit situations, even if the ambient exposure is appropriate for handheld use, where there is a discrepancy between the exposure values of the foreground and background (i.e. backlit or silhouetted subjects). 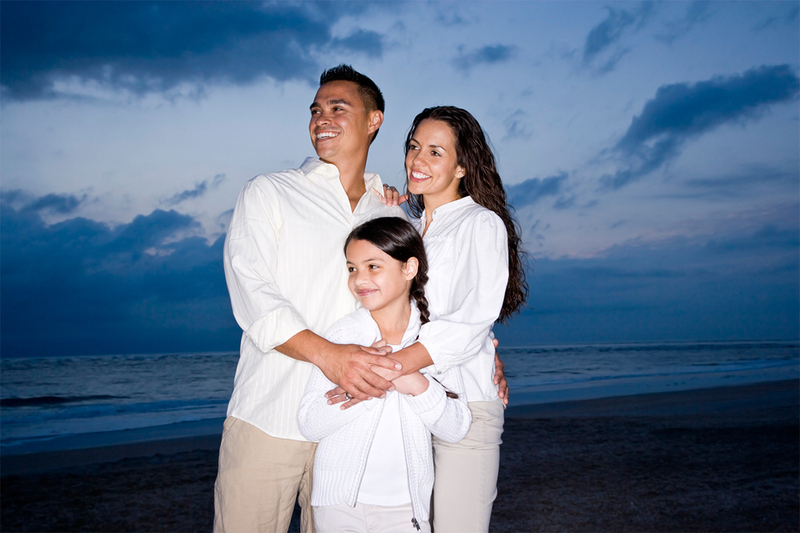 To properly use fill flash, first meter your subject and then meter the background. This difference in exposure values is what is to be made up by use of flash exposure. Once you have determined the difference, you set your camera to properly expose the background values (knowingly you will be underexposing your subject) then you set your flash to account for the difference in stops between the two regions. This will render both areas of the image properly, giving you a more balanced, evenly lit exposure. This tool can be further manipulated to intentionally render your nearer subject brighter than the background, to give it more prominence. In order to accomplish this, you follow the same steps as outlined before but simply set your camera’s exposure settings to purposefully underexpose the ambient regions and have the flash properly illuminate your main subject; thus producing an image with a well-lit subject and darkened background. All of the previous tools and systems can effectively be utilized with your flash when set to manual operation. By using a flash in manual mode, or a flash that does not possess automatic exposure capabilities, you are in full control of determining both your flash’s power and your camera’s exposure settings. This is ideal for creative use, and becomes easier the more familiar you are with certain working situations; however, it sometimes cannot be the most practical or fastest method, considering the availability of automatic flash metering. Automatic in-camera calculation of flash metering is usually done using a TTL, or through-the-lens method. This method of determining proper flash exposure is very similar to how a camera’s exposure meter works; however, it takes into account more variables, such as flash power and even subject distance if used in conjunction with a compatible lens. TTL flash metering initiates when the camera’s shutter button is pressed, which then instantly triggers the connected flash. This flash then sends out a burst of light, a pre-flash, which will strike the subject and reflect back through the lens. This returning light is directed to an exposure meter, which will determine how long the true exposure should be to properly expose the subject. Modern TTL systems are able to control both a camera’s and a flash’s exposure settings to provide well-exposed results, taking much of the guesswork and experimentation out of flash photography. This method of determining proper exposure when using flash is also codependent on the type of flash and camera you are using, with both variables needing to “speak the same TTL language.” Different camera types all have proprietary TTL systems, such as Canon’s E-TTL II or Nikon’s i-TTL, and then TTL-enabled flashes will specify which TTL system they support. Additionally modern TTL systems will also work in conjunction with certain lenses, which further benefit TTL accuracy by being able to factor in your camera-to-subject distance. Depending on where your focus point is set, the flash will deliver enough power to properly expose a subject at that distance. For intentional over- or under-exposure when working with TTL flash metering, most flashes incorporate an exposure compensation system similar to that of a camera, allowing you to vary the “correct” amount of light output by a certain number of stops. Exposure compensation, as well as dedicated settings, also allows you to control fill-flash amounts when working with TTL, further enabling more controlled and consistent flash shooting. On-camera flashes can roughly be divided into two classes: those that feature moving (rotating or tilting) flash heads and those that do not. 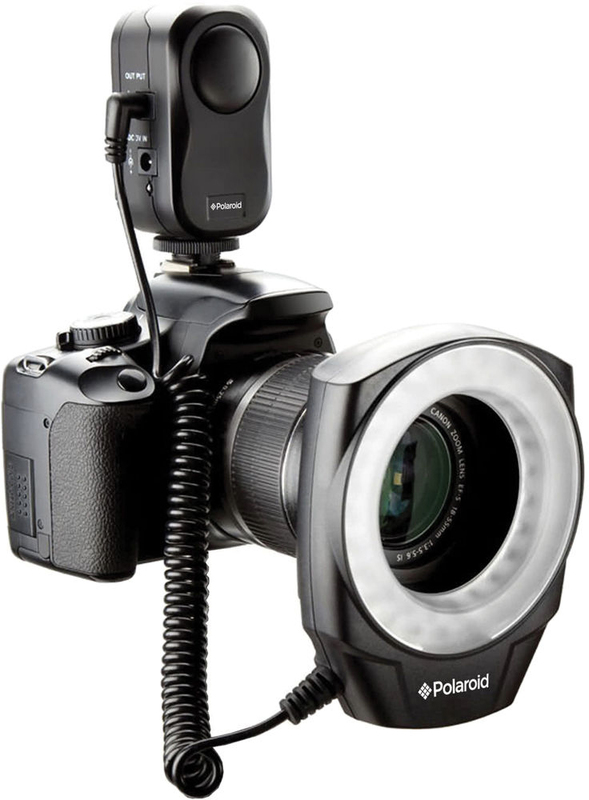 The strobes that do not have a moving flash head have the benefit of being more compact, but outside of that their usability is significantly less than that of a strobe featuring a flash head that can tilt, and even better, one that can rotate. A flash with no movements is similar to an in-camera flash you might already have, and when mounted on your camera, it will always output light in the same square, front-facing direction. These flashes do often have more power and manual controls than your in-camera flash, though. However, once you add the ability to move your flash head, you can suddenly gain much greater control and a variety of options regarding how to direct the light falling on the subject. Light that is pointed directly at your subject is typically very harsh light, producing deep shadows and having a quick light fall-off from your subject to the background (Inverse Square Law). To render a similar scene with softer light, you can tilt your flash head to bounce your light off a nearby wall or the ceiling in order to broaden its directional quality. Once the flash light strikes a wall or a ceiling, that surface is being converted into a much larger light source than your flash itself. This omnidirectionality helps to lessen the effects of the Inverse Square Law, since the light source is larger, and will produce less harsh shadows with more even lighting. Even better than the ability to point your camera-mounted flash away from your subject is the ability to remove your flash from the camera entirely and point it in any direction and at any angle you wish. This can be accomplished in a number of ways; either by way of a wired connection or a wireless connection. A wired connection simply requires running a sync cord between your flash and your camera. Make sure to have a cable with compatible connections to both your camera and your flash. Flashes often have a kind of proprietary connection, or sometimes also support more standardized connections such as a household plug or a miniphone, photo, or sub-mini jack. These cables usually feature a PC connection at the other end to provide a connection to your camera. If your camera does not have a PC sync socket, there are also adapters available that slip into your hot shoe and provide a PC connection from there. Cables that connect your flash to your camera are available in lengths from 6” up to 33’ in either coiled or straight designs. It is best to assess how you plan to use your flash off-camera before deciding upon length; if it is too short you won’t be able to get far away from the camera, if too long the cable will become cumbersome to handle. If you're not handholding the flash, you can easily remove the flash from your camera and mount it to either a stand or a flash bracket. A flash bracket enables you to place your flash off to the side or above the camera, and usually gives you a bit more freedom as to the orientation in which you can place your flash and the direction you point it. Brackets typically attach to your camera from the tripod socket and provide you with an additional method to hold your camera/flash system. The other method of tethering a flash to your camera is to use a wireless receiver/transmitter system or a slave, which employs radio, infrared or optical triggering methods to communicate between your camera and your flash. A wireless system affords you the most creative control, as the boundaries of how far away your flash and camera can be are practically limitless, and you can also work with multiple flashes for more creative lighting setups. 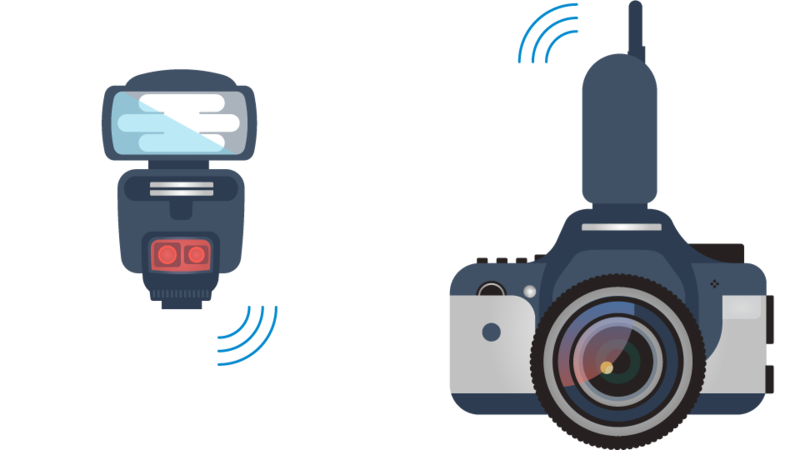 Wireless flash is a complete entity unto itself, but as a briefing, there are essentially three types of wireless triggers: infrared, radio and optical. Beginning with the most basic, optical triggers (commonly referred to as slaves or optical slaves) are a small addition to your flash that enables wireless triggering once the slave detects a flash of light. These slaves come in an assortment of connections, typically household plug, 3.5mm or 1/4” jack, PC connection or via a hot shoe. Determine which connection type is compatible with your specific flash before considering anything else when using an optical slave. "Radio remotes have the advantage of being completely non-reliant on optics and do not require a line of sight or certain lighting conditions to function properly..."
Once properly paired, you simply connect the slave to your flash and utilize another flash in order to trigger it. These are ideally used in a situation with multiple light sources, since optical slaves require one burst of light to trigger them; however, you can effectively use them in single-light situations by programming your in-camera flash to fire at a very low power (1/64th or less if possible) and assume that the flash with the optical slave will completely overpower this small amount of light. It should also be noted that many modern flashes contain a built-in optical slave, which eliminates the need to add an optical slave; they are mostly for use with older flashes or in circumstances where you might need an especially highly sensitized slave. One other note regarding optical slaves is to account for the pre-flash that will occur when using TTL flash metering. Often, the slave will react to this pre-flash, as opposed to the intended “main flash,” and your lighting sync will be off. Some optical slaves have a function to automatically ignore this pre-flash, while on others, you must manually disable the pre-flash either through your camera or the master flash you are using to trigger the optical slaves. The other method of wireless triggering is through the use of an infrared or radio system. One of the main advantages of these is that you do not require a hard-wired flash in order to wirelessly trigger a group of flashes or even a single flash; your entire lighting setup can be controlled from a transmitter connected to your camera. 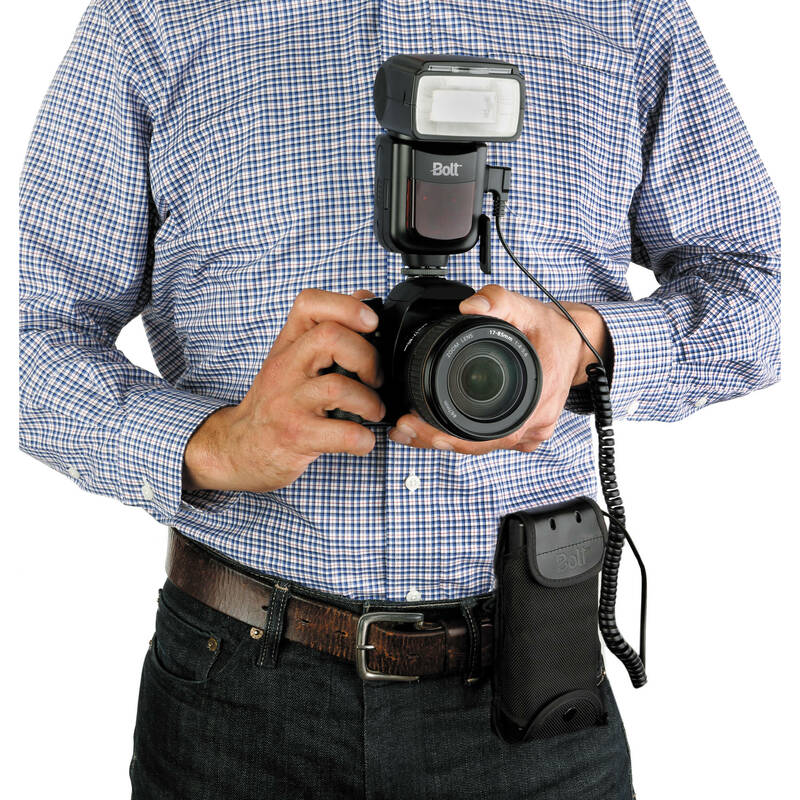 When working with a wireless transmitter and receiver system, you will connect one unit to each flash needed and one to your camera; this provides a remote method of communication between your camera and flashes to trigger flashes, and sometimes a means to even control the power output of individual flashes. This method can also function well if using a single unit on your camera and main flash, then utilizing optical triggering to set off subsequent flashes. 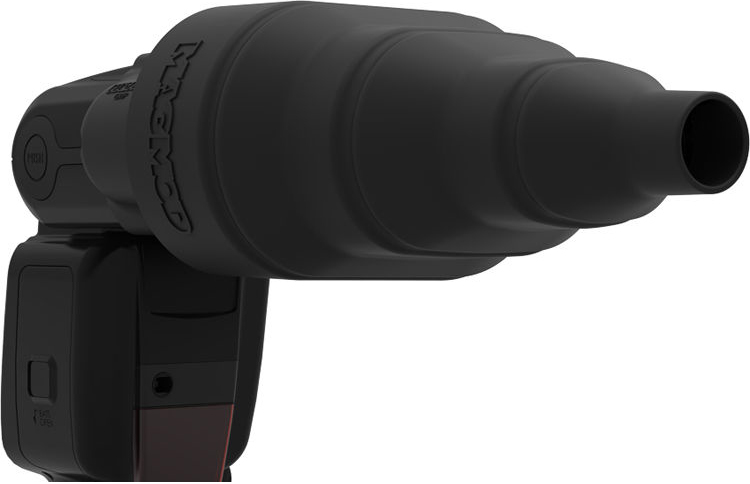 Another benefit to these triggering systems is that some flashes contain a built-in infrared receiver, saving you the need to attach an auxiliary one. When working with radio transmitters, it is less common for flashes to have built-in receivers, unless working with proprietary transmitters and higher-end flashes. An infrared triggering system is similar to an optical method, but as the name implies, it utilizes infrared wavelengths to transmit the flash signal. This has a benefit over an optical trigger, as you do not need an on-camera or directly tethered flash to trigger your exposure, which can affect your exposure and limit the means of how you light your image. An infrared transmitter is essentially a low-powered flash with an IR filter over the front of it; when it emits a burst of light, the IR filter attenuates most of this light and converts it to an infrared signal. Infrared remotes work best in indoor situations when there isn’t an abundance of ambient light to disrupt the infrared transmission, and they also usually require your infrared receiver to be in direct line of sight of the infrared transmitter. With these drawbacks in mind, IR systems do have the advantage of being able to handle extremely fast sync speeds, due to the lack of time needed to compensate for a radio transmission. The last, and most sophisticated method of wirelessly triggering flashes, is through the use of a radio transmitter and receiver system. Radio remotes have the advantage of being completely non-reliant on optics and do not require a line of sight or certain lighting conditions to function properly. They can operate across numerous channels, which greatly enhances photographing with wireless flash in situations where multiple photographers are working. Their other main benefit is that some radio systems integrate full TTL compatibility, which gives direct connection between the flash and your camera for controlling flash exposure. Many radio slaves also have dual functionality, deeming them transceivers, which allows the same units to be placed on either cameras or flashes. Transceivers can usually be set to transmit or receive, which helps to further dial in the specific purpose of them under certain circumstances. As previously mentioned, one of the defining characteristics of an on-camera flash is a self-contained power source. This power source, often AA batteries, is stored inside the flash and can be replaced easily during the course of a photo session. This convenience is certainly appealing when compared to portable strobe packs featuring batteries that alone can weigh more than 20 lb; however, AA batteries are also not that powerful. Flash is a power-craving tool that requires battery power and quantity in excess of typical camera batteries. Rather than favoring a dependency on numerous AA batteries, it is beneficial to use an external battery pack if you use flash on a regular basis. Auxiliary battery packs are often compact in size, for carrying in a pocket or attaching to a belt, and connect to your flash via a dedicated cable. Packs contain an internal, rechargeable battery; a removable, rechargeable battery; or in some instances, are simply a means to bundle several AA or other common battery type together to more efficiently provide longer battery life versus changing out batteries from the flash itself. In addition to longer battery life, battery packs also often allow for faster recycle times—meaning you can fire your flash more rapidly with less time in between bursts. Often only higher-end flashes will support the use of an external battery pack, since they are more typically put through longer shooting times and more strenuous conditions. As it would when looking for any other camera equipment, purchasing a flash should be heavily dependent on your needs to ensure it has the features you will use and will best suit the applications for which you intend to use it. Additionally, it is usually preferable to work with a flash best suited to the specific camera type you use, either by way of using the same brand or a third-party manufacturer with camera-compatible accessories and connections. 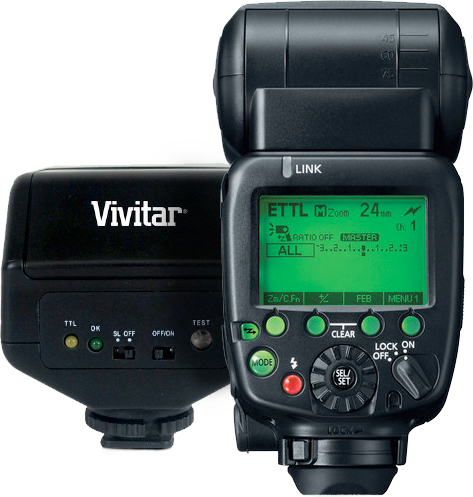 This is especially prevalent in regard to TTL systems, with not all TTL-compatible devices being TTL-compatible with your specific camera or flash. Like cameras, too, flash choice should also take into account the build quality and how it will withstand the conditions in which you typically work. Certain flashes feature full weather-sealing, which could be necessary for working in adverse conditions. As mentioned previously, when talking about bouncing flash and getting the flash off your camera, is that a flash’s artificial light and straightforward angle are often not the most flattering or aesthetic sources. In addition to directing your light source at something other than your subject, you can also use numerous other tools to affect the way the light strikes your subject. These on-camera light modifiers come in a wide array of shapes and sizes, all serving to alter your light in various ways. The most common type of add-on light modifier for your flash is a diffuser, in either bounce, flat, dome, or wide-angle styles. 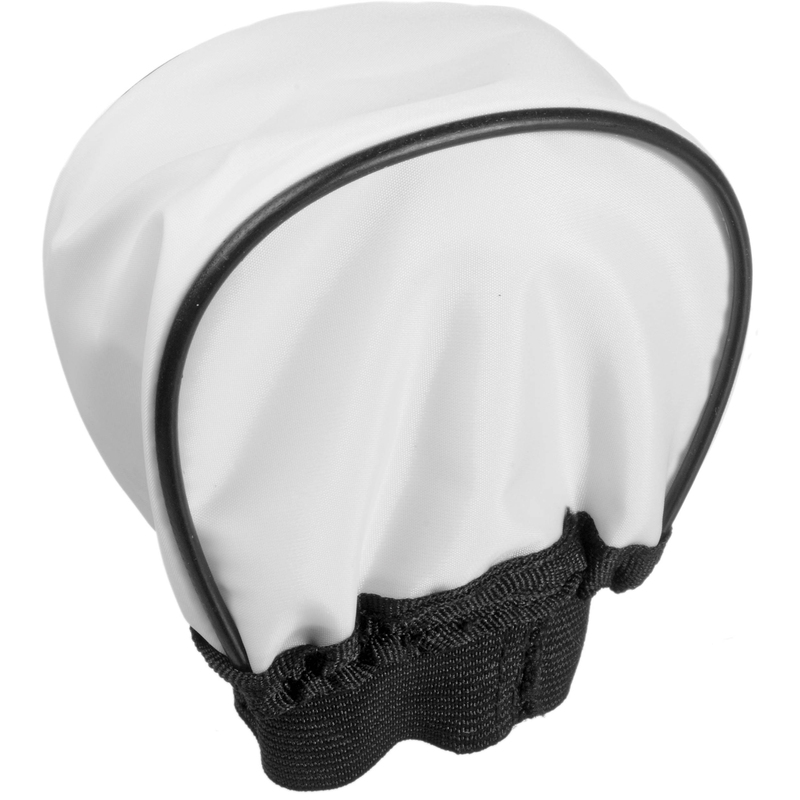 These diffusers work by placing a translucent box or substrate in front of your flash, helping to soften and spread the light a bit more evenly than an undiffused flash head. You will likely lose at least one stop of power from your flash, but your light will have less directionality and more of a softer, less high-key appearance. 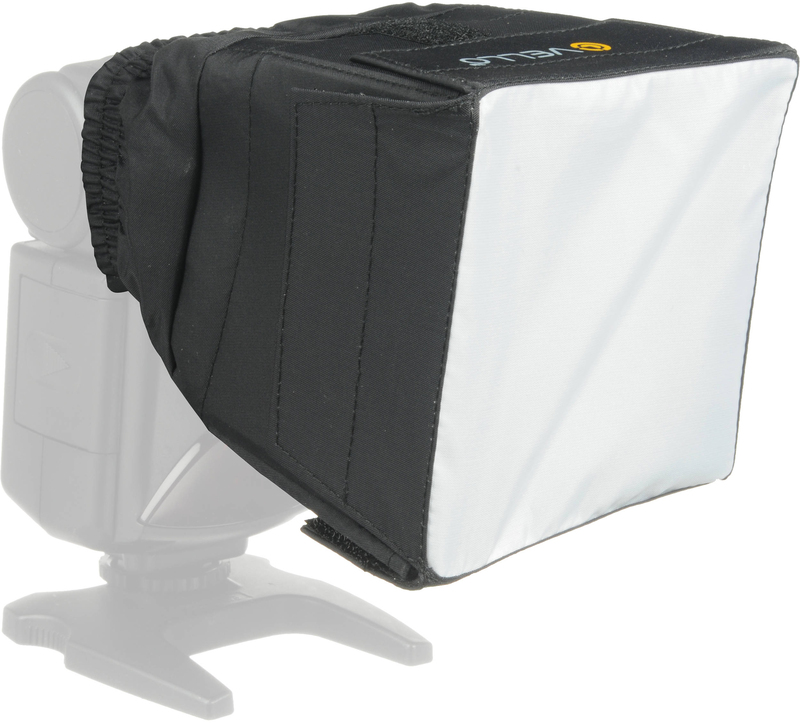 A mini softbox, as the name suggests, is a smaller version of a softbox that is designed especially for use with an on-camera flash. A softbox converts your flash into a larger, softer light source to help lessen the intensity of shadows and produce a more wrapped-light quality. The differently shaped softboxes will produce differently shaped catch lights in subjects’ eyes; otherwise the different shapes will function similarly based on corresponding dimensions or surface area of the softbox. Many flashes feature a built-in bounce card that slides out over the flash head, but if not or for more control and adaptability, auxiliary bounce cards are available. In terms of light quality, a bounce card is something between a diffuser and a soft box. It produces light akin to bouncing your flash off the ceiling or a wall. 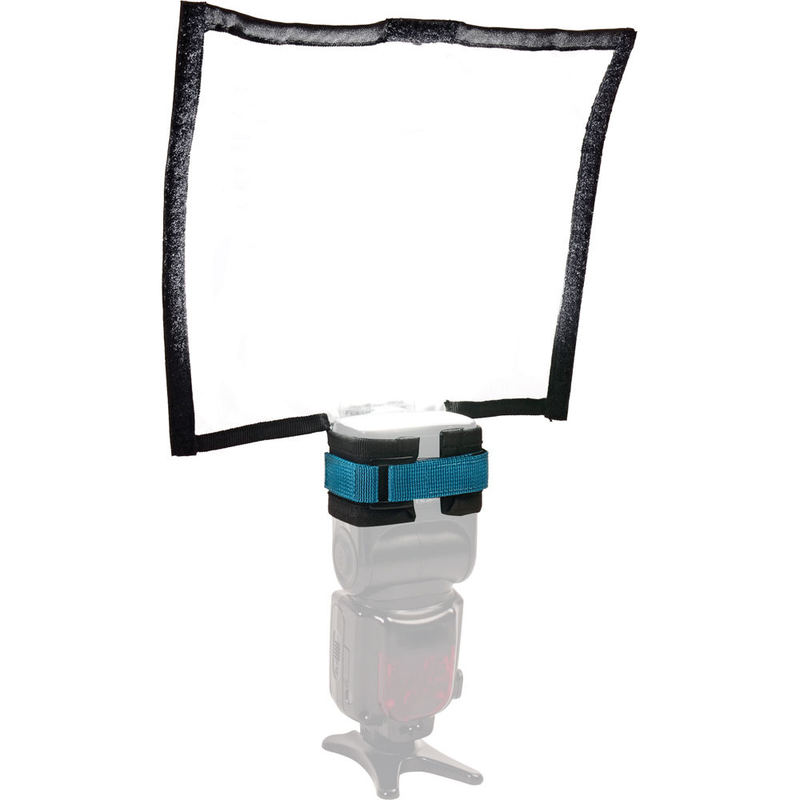 These reflector cards extend from the top of your flash head and block light from spilling in all directions, and subsequently create a larger, softer light source. Grids afford more control and a tighter light output from your flash. The honeycomb pattern helps to limit the overall spread of light and concentrate it into a more organized beam. Grids are often available in an assortment of sizes or degrees, with the smaller measurements referring to a tighter, more refined light spread. For an even narrower beam of light than a grid, a snoot can be used to create a small circle of light. The longer the snoot, the smaller the circle of light will be. Additionally, snoots often feature an attached grid spot at the end for an even narrower beam angle. Both grids and snoots, and a combination of the two, will produce a harder light quality, greater contrast, and more dramatic shadows due to their limiting of the light spread. A flash extender is essentially a Fresnel lens that concentrates the flash light into a tighter beam to be thrown at greater distances. It is similar to the idea of a telephoto lens for your flash, and some flashes even have telephoto/Fresnel lenses built into them to serve this purpose. 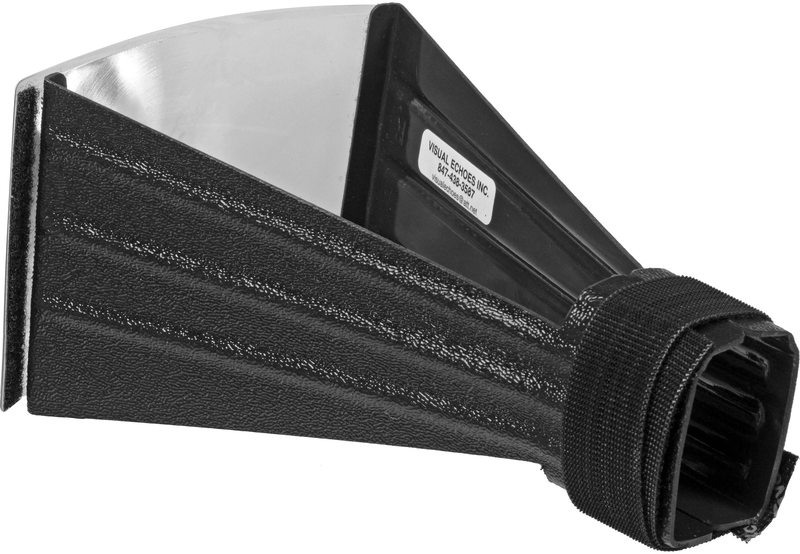 An extender is different than a snoot in that it does not merely restrict the light from spilling; instead it focuses the light into a tighter area to simulate the angle of view of longer lenses. Color filters and gels are used over your flash head to alter the color of light being produced. Most flashes emit light that is daylight-balanced (between 5000 and 6000K), which is fine for general purposes. When working under mixed-lighting conditions, however, such as fluorescent or tungsten-lit rooms, the difference in the color of light between your flash and the ambient lighting will be much more apparent. By covering your flash with a colored gel, you can more closely approximate the surrounding color temperature for more balanced lighting. These filters, often sold in kits or packs, can contain a range of colors that typically include CTB (color temperature blue) and CTO (color temperature orange) filters. These specific filters, and more often the CTO, are frequently used to balance your strobe’s light accordingly; a full CTO will convert your flash light to approximately 3200K for tungsten lighting, and a full CTB will convert it to approximately 5600K for daylight use (if using a flash that is not already balanced for daylight). For more information on balancing mixed lighting conditions, refer to this B&H In Depth article. 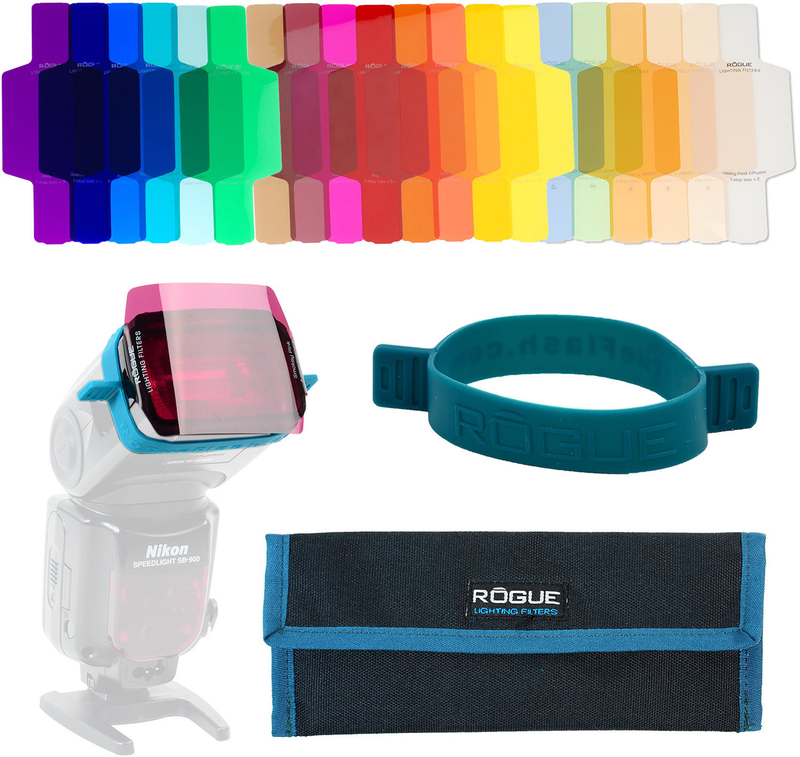 Additionally, many of these kits include many other colors to choose from for more creative applications where you want to use a colored light source as opposed to one appearing “white.” These filters and gels can be affixed to your flash in a large variety of ways, ranging from dedicated filter holders for your specific flash to simply taping the gel over the flash head. One other specialized type of lighting is an on-camera ringlight, and other types of on-camera lighting well-suited to macro applications. While all ringlights are technically “on-camera,” these refer to those that feature self-contained power and other features as noted earlier. A ringlight is a unique lighting tool that is donut-shaped and goes directly around your lens. This circular light is perfectly aligned with the axis of your lens and helps to provide nearly shadowless lighting, since the light is coming from all angles directly surrounding the lens. When used with more powerful studio strobe battery packs, a ringlight is a popular tool for fashion and portraiture work, but when confined to an on-camera source the light output is typically fairly limited and best suited to macro and close-up applications. The other, and even more important, reason that ringlights are best suited to macro work is that they constitute an effective solution that provides even lighting to subjects where your own or your camera’s shadow would be in the way if you were using off-camera lighting. Since the light is positioned on the same plane as your lens, you are able to light anything that your lens can focus on. In addition to ringlights, there are also twin-light setups that position two separate light heads off to either side of your lens, but still on a similar plane as your lens. These dual heads can be positioned to induce a more physical, 3D quality than a ring flash since they can be tilted or moved slightly to create more dimensionality with objects. 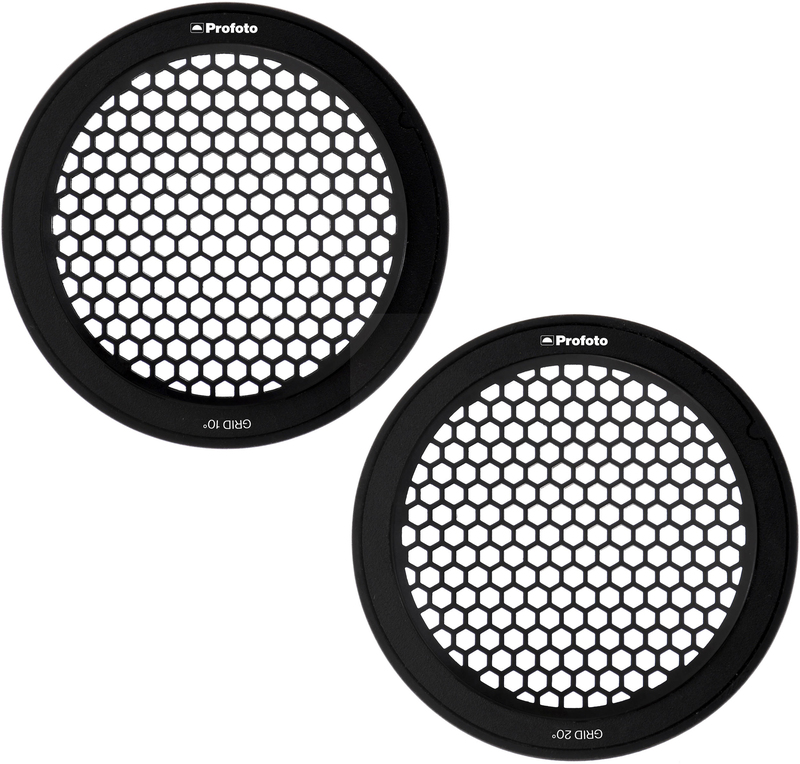 Finally, there are also twin-light setups that are attached to a ringlight to provide the benefits of both systems, including the flat, even lighting of a ringlight but with the available dimensionality of a twin-light configuration. Flash is an entire co-existent realm to available-light photography, and can be utilized to better highlight or give a more interesting visual appearance to subjects. Flash can provide additional dimensionality and texture to subjects in a way that cannot be achieved with natural light. An on-camera flash is a practical and lightweight option for using additional light when making photographs, and serves to be much more expansive than a flash that is simply confined to be atop your camera. When used in conjunction with controlling the power output, light direction, placement, shape and color of the light output, an on-camera flash is undeniably an important tool to have for many, if not all, photographers. If you have any questions or concerns about flash photography and what equipment is right for you, please contact a B&H Sales Professional via live chat, over the phone or in our SuperStore. Great article. While I use my Nikon SB-600 and SB-400 with my DSLR's, I occasionally - like when I'm in a retro mood - use my old Vivitar 272 (that's right 272!) flash with my old YashicaMat 124G, my old Gossen C-mate light meter, and my home-made flash bracket. The Vivitar flash uses two 9 volt batteries, and it still works!! Not exactly auto-everything, but it is fun. This article is very informative and covers the most important information to make a sound decision at the time of flash purchase. Thanks so much!! I just started college for my General Studies but i intend to go for photography what would be the best colllege for that?? I've just started at university doing a Commercial Photography degree and we had a fill in flash/dramatic flash class on Friday which I struggled with to be honest but finding this article has really helped me to understand the process, many thanks! Many thanks for such an awesome article. Simple and straight to the point. Please keep up the good work. Nice! You covered my whole career in photography. I started with a Speed Graphic with a flash bulb "gun" (#5 or #11) attached to the side that could be hand-held separately and raised to tilt down on the subject to give modeling and cast the shadow down and out of the picture. Today, I carry a Point & Shoot with a built-in "trigger" flash that activates a separate slave unit. I skipped the DSLR phase in my retirement. Thanks again! Thank you so much for the detailed description of external flashes. You know expectations never die.....it would be nice if more pictorial / graphical examples are given for 'dragging the flash' & some flashes compared technically. Thank you very much! This was eactly what I was looking for. Well it would be difficult to make a fair comparison without knowing which studio strobe is being compared to the 160 w/s strobe you mentioned. The higher price point on most studio strobes not only has to do with the amount of energy they can store and release, but it has much to do with the control they offer in terms of the f-stop range and modification of the light. Additionally, if the studio strobe may offer different readings of light output depending on how you actually modify it. For example, a hard reflector with a silver surface might give you more output with a studio strobe versus using an umbrella with a silver surface on the same type of strobe. If you would like a more specific comparison, please indicate the make and model of each strobe in question. I've never owned a Flash of any kind, I've always relied on the natural light. After digesting the good information in this post my thoughts have changed and will now consider the purchase of an on-camera flash. Thanks for such a good article! Awesome article! Extensive and well done. This will greatly help me in my search for an on-camera flash. Thank you, Bjorn!